In today’s data center and SAN environments, space is often at a premium, making density more critical than ever. Deploying high-density fiber optics offers advanced performance and reliability. This article will introduce two types of high-density fiber patch cables, which are push-pull TAB fiber patch cables and LC uniboot fiber patch cables. The Push-pull TAB fiber patch cables have a special “pull” tab design, which features push-pull tab connector that offers maximum accessibility in high-density installations. It has the same components and internal-structure with the traditional patch cords, except a tab attached to the connector used for pushing or pulling the whole connector. With this design, the technician is able to finish the installing and removing procedures with only one hand and no additional tool are needed. 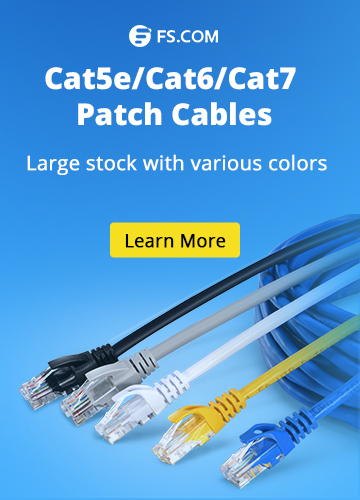 Two types of push-pull TAB fiber patch cables are available in the market. One is LC-HD TAB fiber patch cable, and the other is MPO-HD TAB fiber patch cable. 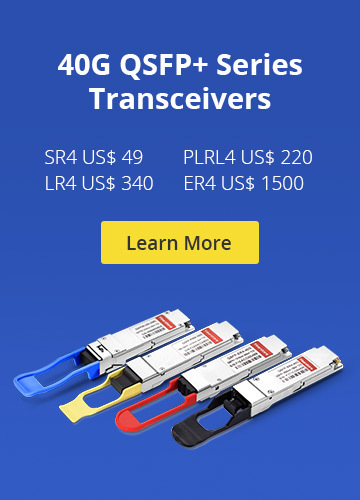 The LC-HD TAB fiber patch cable is designed for the LC-HD switchable and movable connector. And its slim uni-boot design saves much space and makes cables more easily to be managed. With MTP/MPO connectors accommodating 12 fibers or 24 fibers, the MPO-HD TAB fiber patch cables provide up to 12 or 24 times the density, thereby offering savings in circuit card and rack space. Compared with traditional fiber patch cables, the push-pull TAB patch cables are superior in the following aspects. Easy to Release — Inserting and disconnecting patch cables can be challenging for fiber optic technicians in high-density environments such as 48-port 1U patch panels. The flexible “pull-tab” of the patch cables allows for the connector to be disengaged easily from densely loaded panels without the need for special tools. The technicians just need to push the tab forward to latch and gently pull the tab to release the connector from extremely dense fiber optic panels. Moreover, each fiber optic patch cable can be quickly identified by the labeling on the pull-tab. 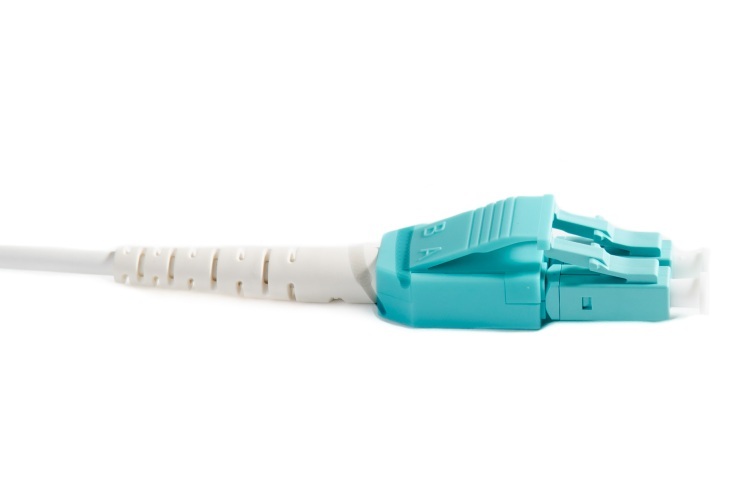 Density Increase — As the connector of the patch cable can be released by using a simple pull tab, it eliminates the need for finger access to the connectors latch mechanism. Therefore, adapters can be mounted much closer than spacing required in the past. Space Saving — The traditional connectors require a small vertical space above and below the adapters. While the low profile push-pull TAB patch cables, together with the pull tab, allow adapters to be stacked with absolutely no vertical space. The LC uniboot fiber patch cables are utilized to achieve more effective cable management in high-density network environment. With a more compact design, they can reduce cable management space by 68% when compared to traditional duplex zipcord assemblies. These assemblies contain two LC connectors encased in a common housing with one boot, terminated on a single, round, two-fiber cable, therefore allowing duplex transmission within a single cable. The LC uniboot fiber patch cables provide the following benefits with the special design and structure. Polarity Reversible and Reduce Cable Congestion — With a finger latch release, the LC uniboot fiber patch cables eliminate the need for tools when making the polarity change. They are color-coded and labeled “A” and “B” to provide visual references when making a polarity flip. On top of the unique reversing polarity feature, the uniboot option cuts the amount of cabling by half compared to conventional duplex cords, greatly reducing cable congestion in racks and cabinets. Easy Identification and Installation — The LC uniboot fiber patch cables offer improved airflow and visibility of equipment in high-density networks, which has definitely had a positive impact. The unique serial number, part number and length labeled on both ends of the cable help for easy identification. This also helps cut installation time in half for most the users. They are perfect for high-density applications where the cable footprint is critical. Hassle-free Networking Configuration — With two individual LC connectors into a single entity, this design allows for a much cleaner appearance and hassle-free networking configuration, due to their ability to ensure communication integrity by preventing misconfiguration of the transmission and receiving fibers. As the networking environment becomes increasingly dependent on high speed and high-density solutions, deploying the high-density fiber optic cables is undoubtedly an excellent choice. The Push-Pull TAB fiber patch cables and LC uniboot fiber patch cables can help to save space and reduce congestion, while providing manageability and flexibility. They offer the best solution for high-density applications in data centers. Fiber Patch Cables Bulk Fiber Cable, Fiber Patch Cables, LC connectors. permalink.